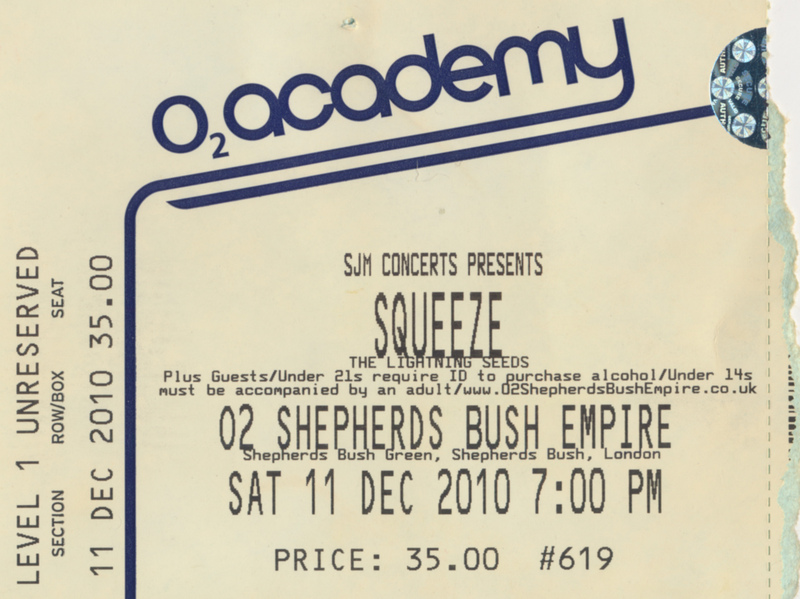 6 Responses to "Squeeze – 11 December 2010 – live at London Shepherds Bush Empire"
Brilliant show at “The Bush” Its difficult to compare show to show but i think this one topped the previous night at The Forum because to my ears the sound quality was better, Squeeze looked like they were having fun and The Lightning Seeds benefited from the improved sound. I am keeping my fingers crossed for more action next year and hopefully The Albert! Well, I thought the sound was a bit off last night…For whatever reason, it sounded as if Ian Broudie was having trouble making himself heard and it was a similar story for Glenn. However, it wasn’t enough to ruin things in any way for me. I thought it was a really good night and some brilliant shapes being made by The Diff! An enthusiastic and happy performance with a lot of good natured crowd behind me which makes for a more enjoyable gig experience and I wasn’t told I couldn’t take pictures which was an improvement on Indigo! Oh and The Empire is as ever a really good venue…It’s been a lot of years since I have been there and it’s fab. 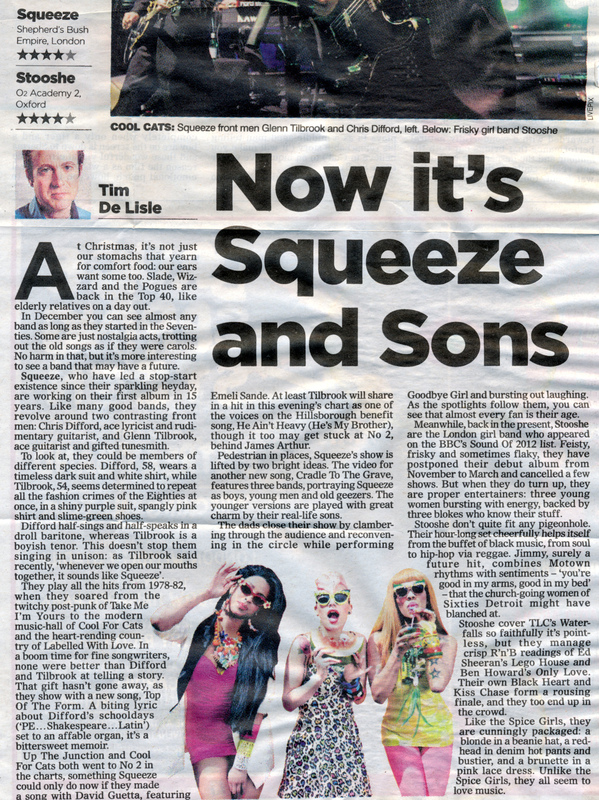 I hadn’t seen Squeeze together since the gig at the Excel, and I thought last nights gig was brilliant. I didn’t stop singing or dancing all night. The pace was kept up but without the feeling that the band wanted the whole thing over and done with which was how it seemed sometimes when they did that in the late 90’s. Some nice surprises with The Knack and When the Hangover Strikes. Listened to Domino today, not played this CD for sometime, there’s some good tracks on there. Hope at sometime they can play them just for ‘old times sake’.